Once you retrieve the needed software (at the time of this article version 1.20 has been released), you need to unzip and scp/vSphere the 3 needed files for ESXi to your hypervisor. WARNING: do NOT execute them from / but copy them in a folder you created in /store or something similar. The unlocked will complete rather quickly, then you can start building your environment as detailed below. I have the Install OS X Mavericks software under /Applications directory on my Mac, downloaded from Apple Mac App Store (it’s about 5.31 Gb). First of all, we need to prepare the installation image starting from the original. The image we’ll create and use for the installation is called mavericks-esxi.dmg in the Desktop folder of the logged on user. take note of the path where Apple HFS filesystem is mounted, in my case this is /dev/disk1s2. Then we proceed to modify our newly created image to make it bootable on a “unlocked” ESXi 5.1 system as follows. Congratulations… so far so good. 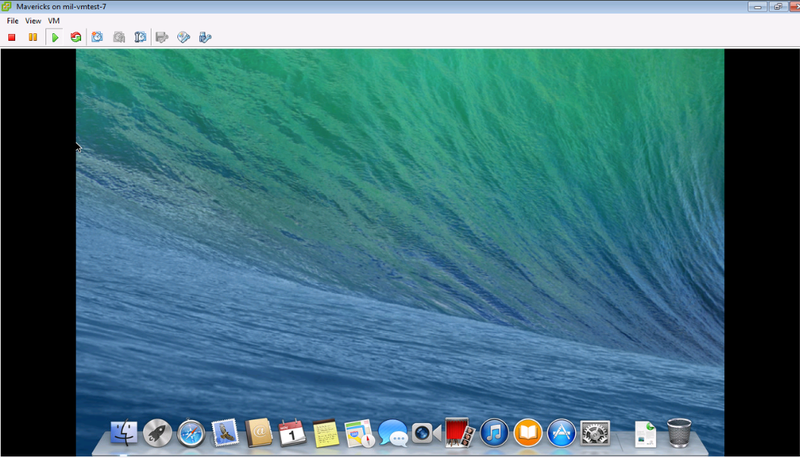 We have now a cool new image of Mavericks ready to be booted on our VMware ESXi 5.1 system. Transfer it on the system using, for example, scp. On ESXi 5.1, create a new Virtual Machine (typical is fine) and give it a name. Select the storage destination. Choose the guest system, type to be Apple Mac OS X 10.7.(64-Bit). Setup the network or leave the default. This provisioning technique is fine for the HDD. Edit the configuration. VERY IMPORTANT: set the CD/DVD to be connected at boot, otherwise Mavericks won’t boot. Set it to use ISO image, browse the datastore and (enable “show all types”) select the mavericks-esxi.dmg you uploaded previously. Once you choose the language at boot of Mavericks, run Disk Utility and initialize the Disk giving it a name (I called it VirtualMac HD). Close Disk Utility and from the previous menu select Terminal. …enjoy your new virtualized Mavericks installation! Did you find this article useful? Please use comments here below to share your experience! To add screenshots, these are the error messages I get: Please help!! This is another attempt to run ESXi on a macbook pro with fusion (apple hardware) no luck! Mac User, according to Tony ESXi 5.5 still works like a champ… dunno the update 1 but I don’t see many reasons why it should not. However, I’m going to upgrade my ESXi to 5.5 U1 from the current 5.1 so I’ll be able to check it out. Hello Mac User. I confirm that I upgraded my ESXi to version 5.5u1 and the Mavericks image does not complete boot anymore. I suspect there is some low level incompatibility but cannot find out any good reason why it does not work. I can confirm that unlocker 1.3 DOES work on ESXi 5.5 U1 stand alone host with vsphere 5.5 THICK client and hardware v8 ( by choosing OSX 10.7 and using Lion dmg, then upgrading using 10.9.app to Mavericks) but will not power on with vCenter 5.5 and choosing OSX10.9-64) as OS choice and trying to boot from osx 10.9 dmg from App Store to begin with. When trying to boot this dmg, all I get is the spinning pinwheel. I am on 5.5U1, but I assumed that I could at least install it. am I getting the same results as you with 5.5u1? To further confuse matters, I just completed a fresh install of ESXi 5.5 update 1 (5.5.0.update01-1623387) and was able to install a fresh Mavericks 10.9.2 using the instructions provided by RP. My VM install wasn’t quite ‘stock’, the Mac’s hard drive is an RDM to an iSCSI target on my FreeBSD 10 ZFS server. Otherwise it’s an all-defaults install. I also used the 1.2 unlocker, not 1.3, as that’s what I had on hand from when I first tested this a while ago. So I guess that means I have different (older?) guest tools installed. I’m going to uninstall 1.2, install 1.3 and upgrade the guest tools, see what that does. Followup: Uninstalled 1.2, installed 1.3, rebooted host, updated guest tools. Also installed App Store updates (iTunes, Security Updates, etc.). Everything is still just fine. Revealing identity is not required as long as you are not a spammer… and from the content of your comments you are indeed helping this thread… hence thank you! I wish I could keep my Mavericks running without going again through 10.7 install and then upgrade to 10.9… so keep hoping that some wizard comes in with its “Vingardium Leviosa” magic stick and reveal us the magic trick. 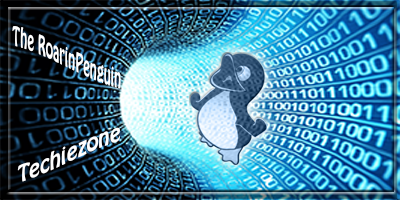 RoarinPenguin: I was able to boot 10.7 Lion from App Store provided dmg with 1.3 unlocker on ESXi 5.5 u1 WITHOUT using the lengthy process above, on HP hardware. – You should get passed the spinning grey circle and would allow you to choose your language. – That is the magic stick … U got one? Remind you, unlocker 1.3 is the magic sauce. I came up with this after over 100 combinations of variables to boot. If you have 10.9 running, you should be able to power on. Darwin 13 is not supported on ESXi 5.1 u1. If you can figure it out to boot 10.9 dmg, please post it here. Also if someone can figure out how to convert P2V from xServe to a VM on non apple hardware, please post here. Anyone know the disktool equivelant to diskutil -A I can’t get disktool to understand the -A what is used instead? I installed the patch 1.3 as you’ve told, on ESXi 5.5. I followed what you’ve written and even followed macuser’s advice on how to set it up. BUT, I still get the error that darwin11-64Guest is not supported. I think it is to grant users and group ownership on the filesystem, hence it should compare with “diskutil enableOwnership “. Uhmmm… unfortunately I haven’t managed to upgrade my ESX system from 5.1 and get my OSX working… hence cannot really comment here. But hey, maybe some other hero will post some idea. Works great! I’m running esxi 5.5u1, unocker 1.3 and OSX 10.9. I didn’t have any issues following the instructions outlined on this post. I did use thick eagered zero, 2*2 CPUs 6gb RAM and 128 video ram. I’m using google chrome remote desktop to connect to it from a virtual win 8.1 desktop using vmware fusion running on a real mac. This is what I call “recursion”!! thank you all for pointing out issues and troubleshooting tips. Thanks a million for your confirmation! Especially now that I do not have the system available for additional testing, Heroes like you are keeping the thread and confidence alive… grazie! I can confirm that unlocker 1.3 DOES work on ESXi 5.5. I can load 10.9.4 using iso made by this script. I havn’t OS X installed to prepare the image. Does anyone has or knows how to find an iso ready to boot on ESXi ? What does that command do to the disk image? Worked great with one minor modification. Thanks for the great tutorial. Extremely helpful. Thank YOU for your valuable contribution… which is strange enough since I have checked also in a very recent beta of Yosemite installation package and I have found that location of InstallESD.dmg is indeed in SharedSupport subfolder. I keep getting the error below when running the installer. Has anyone else received this and if so, what did you do to remediate? This only happens when paying OSX. Hi, just to say, followed your guide to the letter, worked fine. Saw a couple of warnings running install from terminal but all seems good. Keep up the good work!! Thanks. Awesome feedback about a hackintosh working! Do you know of a way to have a OSX vm boot from a net install image from OSX Mavericks Server? I have to do 40 of these, and this would be a lot faster. Followed this guide – worked GREAT. Thank you. Had OSX up and running very well for weeks. Then, I needed to reinstall ESXI. Did so, then re-imported the vmx (re-added the virtual machine to inventory). Now, OSX is stuck at the gray apple boot screen. Re-ran the install.sh to unlock, rebooted, and still stuck. Any ideas? Cannot get OSX to boot – really do not want to have to reinstall (I’ve got a lot of custom work/setup in the OSX image). I followed the guide and am able to get to the Chose language screen but I don’t seem to get any response from the keyboard or mouse once they are captured by the VM, any ideas? Thanks for that guide ! Furthermore, I Installed today a Yosemite VM exactly the same way, using the InstallESD.dmg of the OSX update from the Appstore. Ye-Haw Proactys! Thanks for sharing this awesome news! Great to see that things did not change with Yosemite! will this ESXi VM support opengl(3D application stuff)???????????? Have no idea, did not test. Im running ESXi 5.5 build 2302651 and i can’t get past the grey screen with the apple logo. I’ve run the unlocker, and download a torrent with the mavericks-esxi.dmg file because I have no way of creating that because of the lack of a Mac. Any idea as to what is happening in my case, I’ve followed the instructions to the T and still no success. Thanks in advance. Do you have a link to mavericks-esxi.dmg image where i can download it already packaged? Thanks. Thanks for the guide..I successfully installed Yosemite 10.10 on ESXi 5.1. but i’m unable to passthrough GPU. I’m having Radeon HD 7770. In ESXi under configuration and advance setting, it is showing gradeout and says host doesnot support pass through configurtion. I enabled the Virtualization and VT for Direct I/0 in BIOS but still in ESXi passthrough is gradeout. Pls someone help on the issue. Finally got my ESX to boot Mavericks, but when I’m about to install the OS via Terminal, it stops working. At this point nothing happens. No I’m sorry I do not… it would be too big to host it here and I bet there would be some license issues with Apple. …the key pieces of information being the 2.6Gi currently used out of 29Gi total and volume 9% full. The finished Mavericks installation should be around 7.2Gb in size. At this point you can safely select the startup disk and reboot (or issue “shutdown -h now” from terminal and use vSphere Client to detach the installation dmg from the CDrom drive). Thanks a million for your comment Ben! Thank you so much. I have been struggling with the Mavericks installation on a ESXi 6.0 Host and the technique on your post worked flawlessly. This post is gold! Added to the Bookmarks!